b) right now conflicts both within countries and between countries are increasing because of increased wealth/income/opportunity gaps, diverging values, and rising powers (most importantly China) emerging to challenge existing powers (most importantly the US). As in the past, these conditions are leading to the rise of populism, which is leading to important policy shifts to influence economic outcomes (like tariffs, economic sanctions, capital controls, big corporate tax cuts, etc.) that are having big market implications. Conflicts are increasing within countries as the number of confrontational populists from both the right and the left are increasing relative to the number of moderates who are more inclined to find compromises to bring about unity. At the same time, conflicts are increasing between countries a) because these populist leaders are more nationalistic and are more willing to fight than the globalists who are more inclined to seek cooperation, and b) because countries (most importantly China) are challenging US dominance. 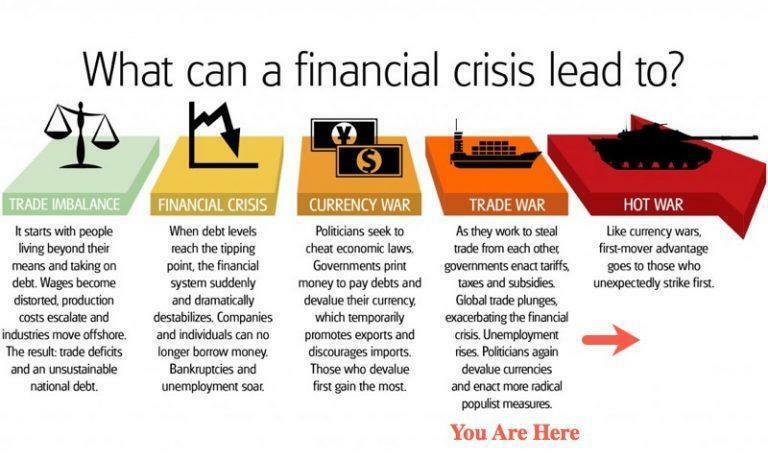 b) in the later stage of the long-term debt cycle when debt and non-debt obligations (like pension and healthcare obligations) are high, interest rates are near 0%, and printing money to buy financial assets will have a reduced stimulative effect. This risky configuration of circumstances has occurred numerous past times, most recently in the late 1930s. On September 20, the US sanctioned the branch of China’s military that is responsible for weapons procurement as well as the individual who is responsible for it (Lt. Gen. Li Shangfu). The 2017 US law, which created the economic sanctions weapon (called the Countering America’s Adversaries Through Sanctions Act), was in large part put into place to punish Russia for aggression in Ukraine and was used to punish Russia for allegedly meddling in US elections and objectionable actions in Syria’s civil war. Using it to hit China with sanctions was a new type of aggressive, non-trade-related act. On September 25, China denied a request for a US carrier strike group led by the USS John C. Stennis to visit Hong Kong. On September 26, President Trump charged China with trying to influence midterm elections, raising the possibility that he will use that perspective to further raise sanctions on China as he did on Russia for allegedly trying to influence elections. On October 1, a visit to Beijing by Defense Secretary Mattis to discuss security issues with his Chinese counterparts was cancelled just before the trip. This suspends the only active US-China bilateral dialogues between the governments (there are three other inactive ones). On October 4, Bloomberg reported that China’s People’s Liberation Army inserted a tiny espionage chip into motherboards of servers to spy on a number of big company and government servers. The chips, around the size of a grain of rice, were installed by manufacturing subcontractors to the US producer of motherboards Supermicro. The chips allowed intruders to have the motherboards communicate with outside computers to get code that could then be inserted into the operating system, leaving an opening for attackers and spies. On October 4, Vice President Pence gave a speech describing the “great-power competition” in which he said that “Chinese security agencies have masterminded the wholesale theft of American technology” and that “China has initiated an unprecedented effort to influence American public opinion, the 2018 elections, and the environment leading into the 2020 presidential elections.” He went on to say that “Beijing is also using its power like never before. China now spends as much on its military as the rest of Asia combined, and is prioritizing capabilities to erode US military advantages on land, at sea, in the air, and in space.” Understandably, he did not mention US military activities, spending, and borrowing to support these activities or China’s role in lending to the US to support these things. 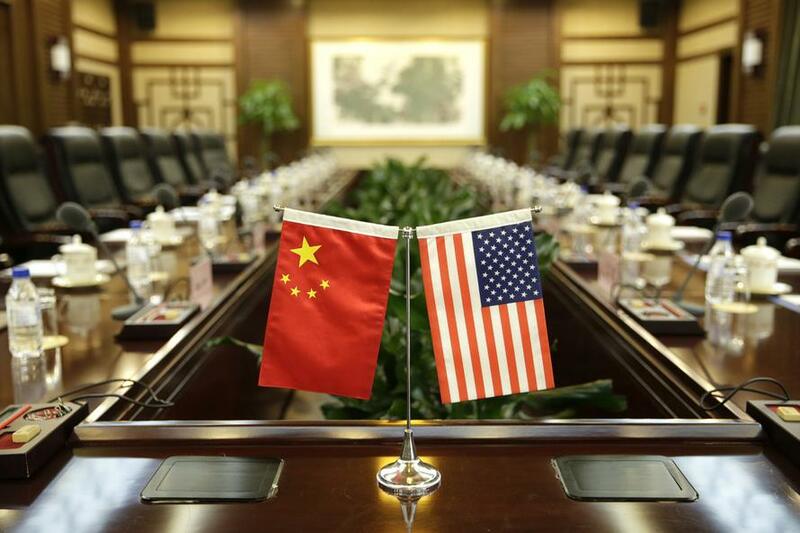 On October 10, the Treasury Department said that it will be using new powers that Congress gave it earlier this year when it passed the Foreign Investment Risk Review Modernization Act to more strictly review Chinese investment in the US technology area. On October 10, Justice Department officials announced that a Chinese intelligence official had been extradited to the US to face espionage charges after being arrested in Belgium. This was a move to a more aggressive posture, as such an action was unprecedented. It should now be clear to everyone that this is not just a trade war. Where exactly this broader confrontation/war leads is unknown to anyone, including the policy makers who are setting policy. We can visualize a wide range of scenarios - ranging from a conflict limited to tariffs that would raise inflation and lower growth a bit, to a much more serious conflict that disrupts supply lines in ways that have big negative impacts on companies’ efficiencies and profits, to the US prohibiting important technologies built in China from coming into the US (or vice versa) and other products (like luxury brands) that hurt these companies, to a capital war in which China boycotts or sells treasuries, to there being a testing of each other militarily. While there will be ebbs and flows in the relationship, as far as the symmetry of the surprises goes, it seems to me that they are more asymmetrical on the downside relative to what the market is discounting. As this is happening in the later stages of both the short-term and long-term debt cycles while central banks are tightening with the duration of assets long (because interest rates are so low), this is an environment in which we prefer to have a risk-off posture.